Hiddenogames Christmas Time-Hidden Alphabets info about the game-Games2Rule. 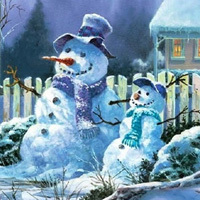 Hiddenogames brought another new hidden alphabet game is called Christmas Time-Hidden Alphabets. Show your finding skill with this new alphabet finding game. You have to find all the hidden alphabets of this Christmas Time pictures. Can you find them all? Avoid unnecessarily otherwise for each 10 wrong click will reduce your -30 second of time. Good Luck.Have fun!